I forgot to write here last night, but I am more or less trying to hold myself to a twice-a-week pattern. The months are flying by fast enough that it’s really helping to stop here for some words and photos. 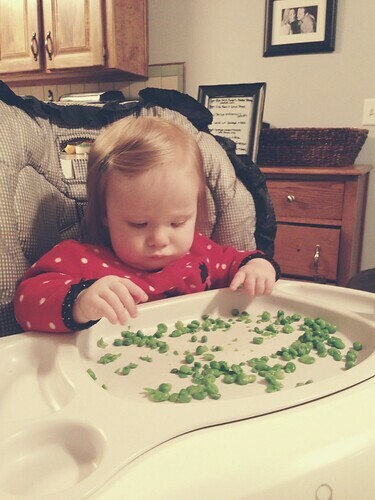 Norah began finger foods this week – so far just peas and tiny bits of bananas and spots of bread. She studies each little piece a little suspiciously, and she’s not the quick eater her brother was, the first of many many differences between them, I’m sure. 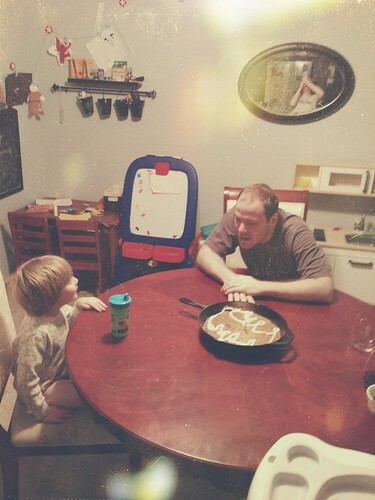 We celebrated Scott’s birthday low-key this weekend when I dusted off my pressure cooker for a pot roast and followed it with this recipe baked in my cast iron skillet. I made it with sucanat and granulated honey instead of sugar, and it was DELICIOUS. Start to finish it took about 20 minutes and we loved it. Jude insisted we draw a Batman on it for “Dad’s party” so we obliged. It was a fun way to celebrate! Other than that, we’ve laid low lately. A pretty mean head cold has made its way around to everyone but Norah, and it is still lingering. 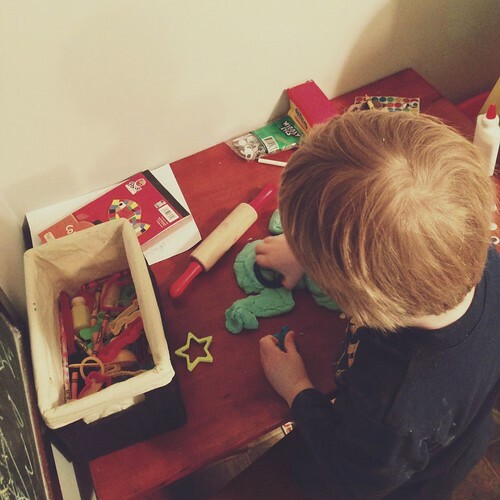 Jude has rediscovered a lost love of play dough, and I’m thankful for that as a winter distraction. As you can see, I’m also loving Afterglow for quickly editing photos on my phone. It’s got fun filters that range from subtle to more dramatic. iPhone users, try it out!